Rose Hips are a Natural Source of Vitamin C. Rose Hips help in Vitamin C absorption. Rose hips are the round portion of the rose flower just below the petals. Rose hips contain the seeds of the rose plant. Dried rose hips and the seeds are used together to make medicine. We use only organically grown rose hips. Rose hips contain a lot of vitamin C, so they share many uses with vitamin C including preventing and treating colds, flu, and vitamin C deficiencies. Rose hips are also used for stomach disorders including stomach spasms, stomach acid deficiency, preventing stomach irritation and ulcers, and as a "stomach tonic" for intestinal diseases. They are also used for diarrhea, constipation, gallstones,gallbladder ailments, lower urinary tract and kidney disorders, fluid retention (dropsy oredema), gout, back and leg pain (sciatica), diabetes, high cholesterol, weight loss, high blood pressure, chest ailments, fever, increasing immune function during exhaustion, increasing blood flow in the limbs, increasing urine flow and quenching thirst. Vitamin C is an important antioxidant nutrient that helps neutralize free radicals which may cause cellular damage in the body. Vitamin C also supports a healthy immune system. 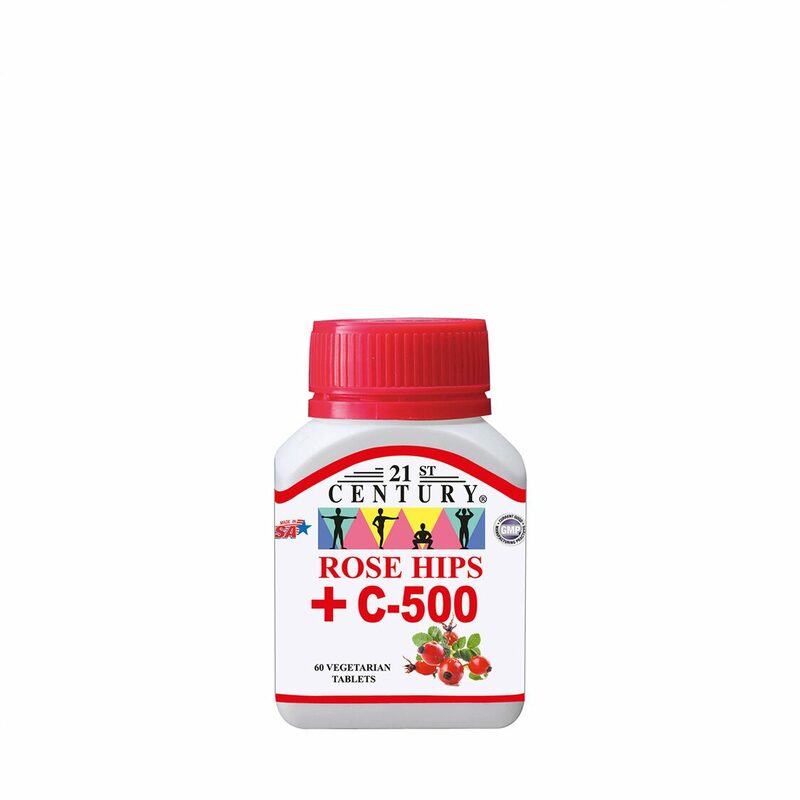 's® Vitamin C-500 with Rose Hips is an excellent natural source of Vitamin C.